The real gay scene in Chiang Mai is found away from the foreigner orientated commercial tourist venues familiar to many visitors and ex-pats. The local Thai scene revolves around the big Thai Style clubs and karaoke bars and some underground places continue late into the night. Theses places typically have live music, entertainment, ladyboys and perhaps a coyote boy show with some stunning Thai guys strutting their stuff on stage. If you are interested in meeting genuine younger Thai gays these type of venues are the places you will find them, but discretion is required, most of the guys here (apart from Karaoke hosts) are not money boys and improper propositions may land you in trouble. What do we mean by “Thai Style”? Typically the large clubs and bars follow a similar format – loud and dark. There is no dance floor as such and everyone stands (or dances/sways to the music 🙂 ) around tall tables with no chairs or stools. It is normal to go to these places with a group of friends rather than alone. Drinks are mainly whiskey or other spirits bought as a bottle. Thai’s often bring their own whiskey; these clubs make their money selling mixers and ice at much higher prices than a normal bar. Small beers are usually available, some places may offer a few mixed drinks or cocktails but usually not what foreigners would call a full service bar. The following is a selection of Nimmanhaeminda Clubs which, although not gay, attract quite a few gay customers. 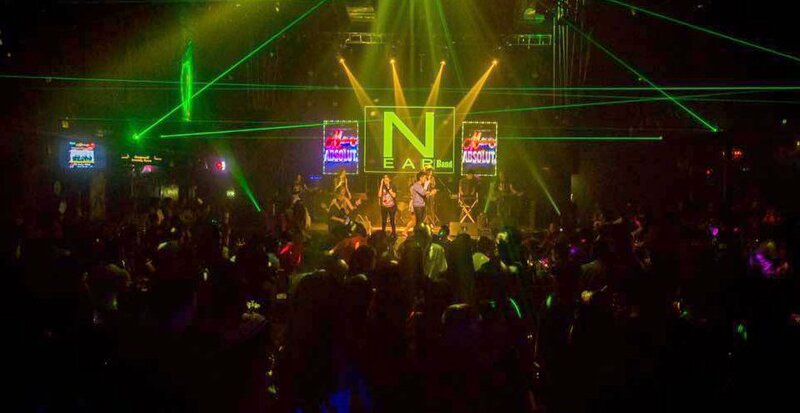 Like most Thai style clubs, these are places to go with a group of friends. More late night gay Venues are shown on our GAY MAP. please be careful – at your own risk.